Comprehensive travel insurance? Oui, oui! France is a country of unrivalled beauty. From Paris to Perpignan; the vineyards of Bordeaux to the Riviera’s golden sunshine rays, your holiday here promises to be truly special. North or south, you’re guaranteed a great time; whether bounding along the beaches of Brittany or feeding your inner culture vulture in Carcassonne, France offers many unique experiences you’ll hold in your heart forever. Wherever your reasons for visiting, you’ll find once you’re in France, you won’t want to leave. Of course, it’s imperative you take out travel insurance to safeguard your trip. We understand it’s difficult focusing on the formalities when there’s a whole holiday to France just around the corner, but you should always be prepared; the fact is, you never know what might happen on your adventures. It’ll be comforting then to know that French medical care is first-rate, but it’s vital you have the correct medical cover in place to avoid any unexpected costs and travel with complete peace of mind. Hospitals in popular tourist towns like Saint-Tropez are sure to get you up and about in next to no time, but if you’re holidaying in more rural areas, it can be difficult accessing medical assistance – and then there’s the likelihood of a more visible language barrier to consider. When you take out France travel insurance with Cover-More UK, you can relax knowing you’ve got things covered (and that we’ve got your back!). Sacré bleu! OK, what about sports cover? With our travel insurance, you’ll be covered for various sports and leisure activities. Whether you plan on surfing the summer waves of the south or skiing down the slopes of Métabief in winter, our comprehensive policies safeguard your interests, so you’ll be able to enjoy yourself to the full. If it’s an adventure you’re after, France has what you ordered! Remember, the policy you choose will affect what activities you’ll be covered for; things like paragliding, sea kayaking, canyoning and golf are only protected under our more premium plans. Please read our Policy Wording document for a complete breakdown of the activities each of our plans cover. Sounds très bien! What else is included? From our lowest cost insurance policy, the Economy Plan, to our Diamond Plan, which provides you with our most comprehensive level of coverage, you’ll have peace of mind that you have cover. Overseas medical and dental coverage is yours with Cover-More UK, and 24/7 access to our emergency assistance professionals is also available should you require urgent treatment or if there’s an issue with your travel documentation (you may have to replace a lost passport, for example). At Cover-More UK, we believe losing out is never an option, which is why cancelling your policy within our 14-day cooling off period entitles you to a full refund. However, this only applies if you aren’t already making a claim and haven’t set off on your trip during the aforementioned window; all things being equal, you’ll get your money back. 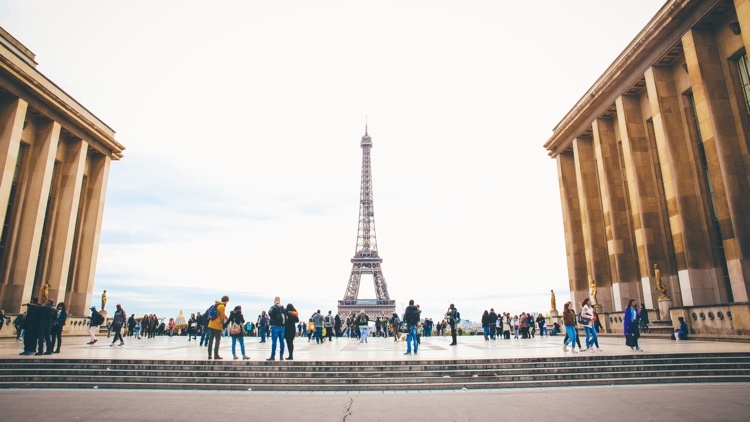 How do I get a France travel insurance quote?